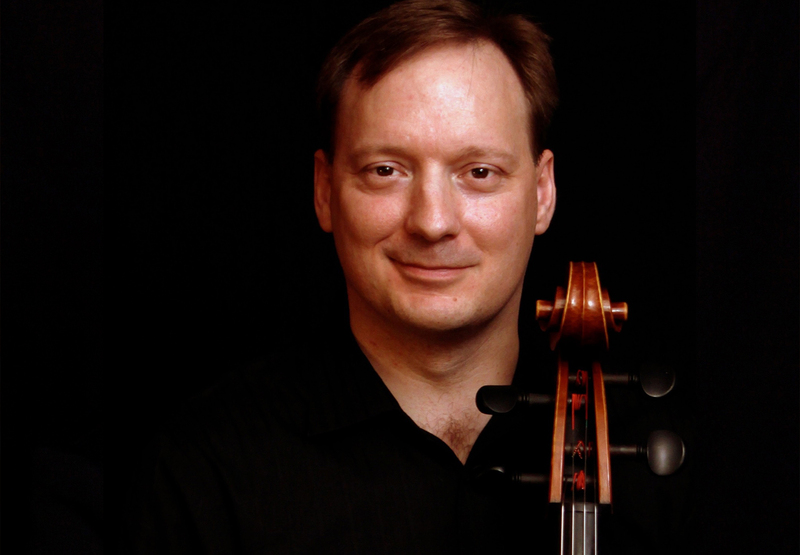 Kenneth Freudigman is Co-Founder of Camerata San Antonio, Principal Cello of the San Antonio Symphony, Conductor of YOSA’s Symphony and Concertino Orchestras, former Education Director of the Cactus Pear Music Festival, and a highly-respected cello pedagogue. Mr. Freudigman began playing the violin at age six and found his true love, the cello, at the age of nine. After six years of study, he was accepted to attend the prestigious Interlochen Center for the Arts. Upon graduating with honors in music performance, he went on to receive a Bachelor of Music from the Eastman School of Music. He began his orchestral and chamber music career while at Eastman, winning a position with the Rochester Philharmonic and was also a founding member of the Esterhazy Chamber Ensemble. In 1992, Mr. Freudigman joined the New World Symphony, an advanced training orchestra for recent graduates of music schools, under the direction of Michael Tilson Thomas. He has also performed with the Grand Rapids, Charleston, and Virginia Symphony Orchestras, as well as the Sarasota Opera and the Mexico City Philharmonic. Mr. Freudigman was also a founding member of the American Sinfonietta. His orchestra and chamber music engagements have taken him to the major concert halls of Europe, the Middle East, and throughout South and North America. Mr. Freudigman has performed chamber music with members of the Amadeus and Cleveland Quartets and with the pianist Jean-Yves Thibaudet. He has been a featured soloist with the World Youth and New World Symphony Orchestras, the San Antonio Symphony and the Mexico City Philharmonic, where he was engaged to perform Shostakovich’s First Cello Concerto. Mr. Freudigman can be heard in recordings on the Argo and Summit record labels, featured with Renee Fleming and the New World Symphony Orchestra performing Bachianas Brasileiras by Heitor Villa-Lobos on BMG Classics, and on Camerata San Antonio’sGrammy-nominated premiere CD on Bridge Records, Salon Buenos Aires: Music of Miguel Del Aguila. Emily Watkins Freudigman joined the San Antonio Symphony Orchestra in 2002 as Assistant Principal Viola and is Co-Founder of Camerata San Antonio. 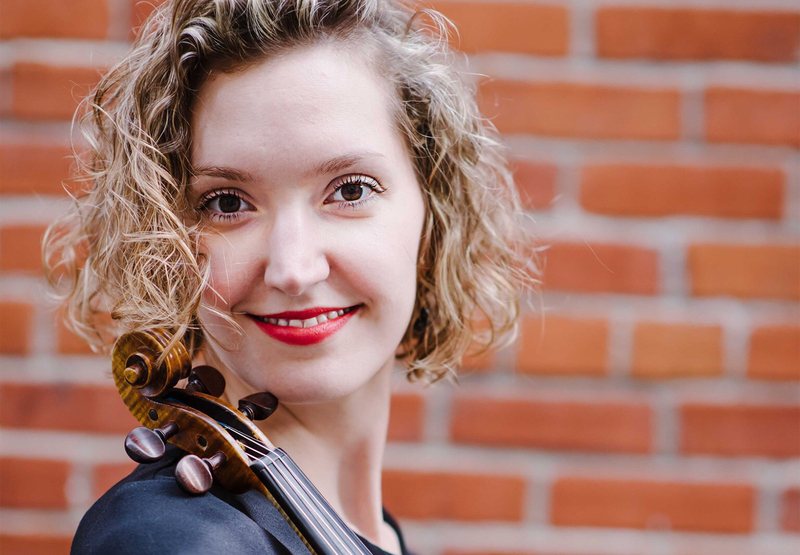 Emily holds degrees in viola performance from Southern Methodist University, the Peabody Conservatory, and the University of Michigan and has been a Fellow at the Tanglewood Music Center and the Aspen Music Festival and School. She has studied chamber music with members of the Juilliard, Muir, Concord and Tokyo String Quartets, and she has performed with the Grand Rapids, Maryland, Fort Worth and Boston Symphony Orchestras. 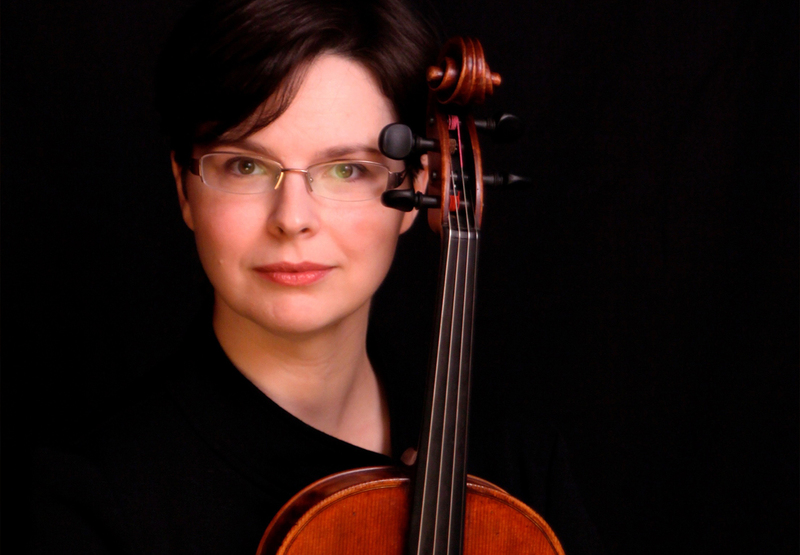 She maintains an active viola studio in San Antonio – her students perform in the Texas All-State orchestras, attend prestigious summer music camps, including the Eastern and Killington Music Festivals and Interlochen Center for the Arts and have gone on to study at the Cleveland Institute of Music and Peabody Conservatory of Music. Praised for her “voluptuous tonal hues” and “nuanced phrasing” by the South Florida Classical review, Anastasia Parker joined the San Antonio Symphony in the fall of 2011. Since relocating here she has enjoyed performing with Camerata San Antonio and the Alamo Baroque Festival as well as coaching students in the CASA String Quartet Seminar, the Youth Orchestras of San Antonio and various public school classrooms. Prior to her appointment with the symphony, she was a fellow at the New World Symphony in Miami Beach, FL. During the summer months, Anastasia has performed with the Strings Music Festival in Steamboat Springs, CO, the Colorado Music Festival in Lafayette, CO, the Sunflower Music Festival in Topeka, KS, and the National Repertory Orchestra in Breckenridge, CO where she was featured as a soloist. Anastasia holds a Bachelor of Science degree in Music Education and Performance from Duquesne University, where she studied violin with Rachel and Charles Stegeman, and a Master of Music degree in Violin Performance from Carnegie Mellon University, under the tutelage of Andrés Cárdenes. Aside from music, Anastasia has an affinity for horses and dressage. She and her husband, Jaime, frequently rescue and foster kittens through SNIPSA with the permission of their three cats, Charlie, Lentil and Penelope. Winner of the 2012 New Orleans International Piano Competition, Viktor Valkov has been hailed as a “lion of the keyboard” and “sensational” (Wiesbadener Kurier). A winner of Astral’s 2015 National Auditions, he recently gave a critically acclaimed recital in London’s Wigmore Hall, and appeared as soloist with the Louisiana Philharmonic Orchestra, Baton Rouge Symphony Orchestra, West Virginia Symphony Orchestra, and the Acadiana Symphony Orchestra. Mr. Valkov has appeared frequently as a recitalist in the U.S., China, Japan, England, Norway, Germany, Italy, Greece, Bulgaria, and Macedonia. A Japanese tour took him to Tokyo, Toyama, Yokohama, and Okinawa. He has performed with most of the major orchestras in his native Bulgaria, and at most of the country’s important music festivals. He debuted with the Sofia Philharmonic Orchestra, and performed Dimitar Nenov’s Grande Piano Concerto with New Symphony Orchestra under Rossen Milanov, becoming the fifth pianist to perform the concerto, and the only one to do so in its entirety. Mr. Valkov has made a number of recordings for the Bulgarian National Radio archive and has recorded for Bulgarian National Television and Macedonian Radio and Television. Mr. Valkov’s concerts reflect a vast interest in chamber music as well as lesser-known piano repertoire. He frequently performs with Bulgarian cellist Lachezar Kostov. 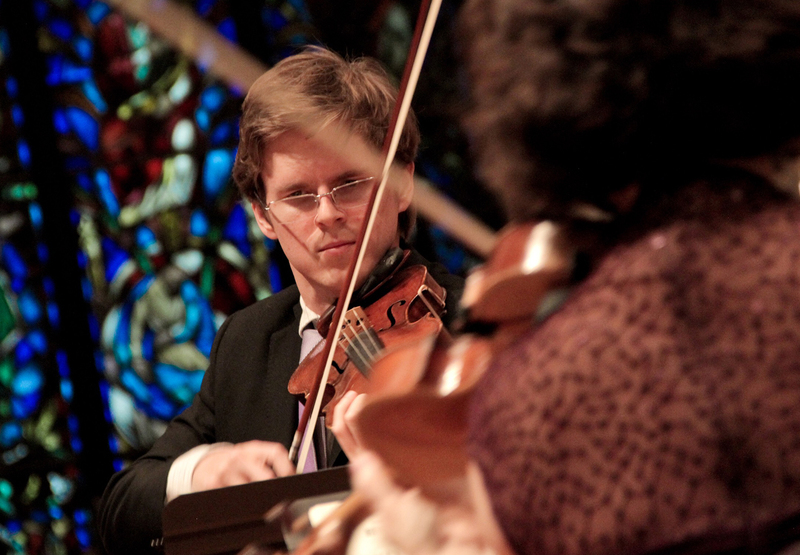 Both deeply interested in broadening the repertoire for cello/piano duo, they often include such composers as Kabalevsky, Roslavetz, Schnittke, and Saint-Saëns in their programs. In 2009, the Kostov-Valkov Duo gave its Carnegie Hall debut in Zankel Hall, and in 2011 won the Liszt-Garisson International Competition, where they were also awarded the Liszt Prize and special prizes in the collaborative artists category. In 2008, they recorded the entire opus for cello and piano by Nikolay Roslavets, released by Naxos in 2011. Their second CD, Transcriptions and Paraphrases, was released in 2015 and featured their own arrangements of Liszt’s Hungarian Rhapsodies Nos. 1 and 2, and the Evocation à la Chapelle Sixtine. As a soloist, some of Mr. Valkov’s recent projects include Beethoven’s Hammerklavier sonata and Busoni’s Fantasia Contrappuntistica. He has presented a program highlighting composers of the 1600’s, including Froberger, Couperin, Frescobaldi, and Buxtehude, and selections from The Fitzwilliam Virginal Book. His first solo CD was a Naxos release of the complete piano music of Dimitar Nenov. 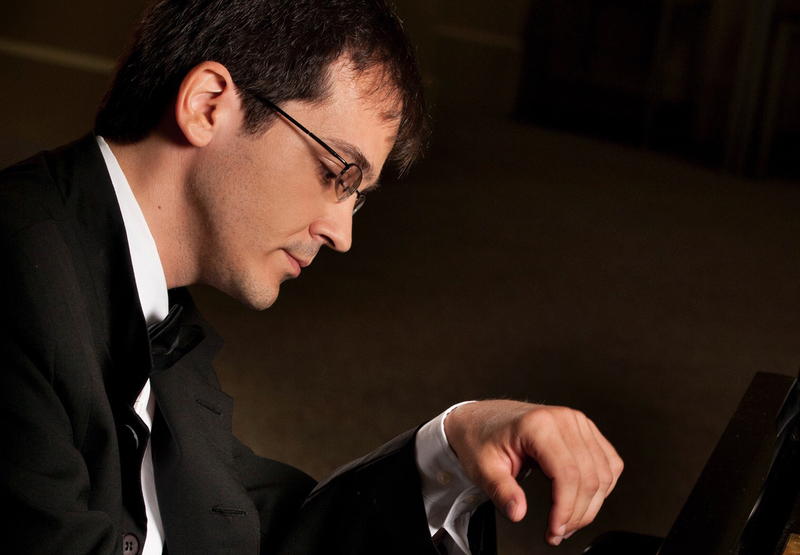 Viktor Valkov is an Assistant Professor of Piano at the University of Utah. Matthew Zerweck (matthewzerweck.com) began his music studies at age 5, after watching Itzhak Perlman perform on the children’s television show, “Sesame Street.” After studying with several esteemed artist teachers, he entered the Eastman School of Music, where he frequently led the Eastman Orchestras as Concertmaster. He earned degrees from the Eastman School of Music (BM, MM), where he served as teaching assistant to the world renowned violinist and teacher, Charles Castleman. Matthew is director of the Cadenza Academy of San Antonio. Through CASA, he’s helped produce a week-long summer String Quartet Seminar, with Camerata as Quartet in residence. In 2018-2019, he’ll be directing CASA’s newly formed Youth Chamber Orchestra. An active performer, Matthew leads the San Antonio Sinfonietta as concertmaster and soloist. He’s also performed major concertos with the UIW Orchestra and Youth Orchestras of San Antonio. In 2015, he recorded the lead violin parts for “Upon the Awful Tree,” an independent film with an original score by Matt Dunne. In his free time, Matthew enjoys spending time with his wife, Nancy, and four cats.